The Bureau International des Expositions (BIE) and the Shanghai Municipal People’s Government announce the opening of the World Expo Museum on Monday, 1 May 2017, coinciding with the seventh anniversary of the opening of Expo 2010 Shanghai.Situated on the former site of World Expo 2010 Shanghai, the World Expo Museum is the first and only official museum and documentation centre dedicated to Expos and authorized by the BIE. The Museum is the result of a partnership agreement between the BIE and the Shanghai Municipal People’s Government. 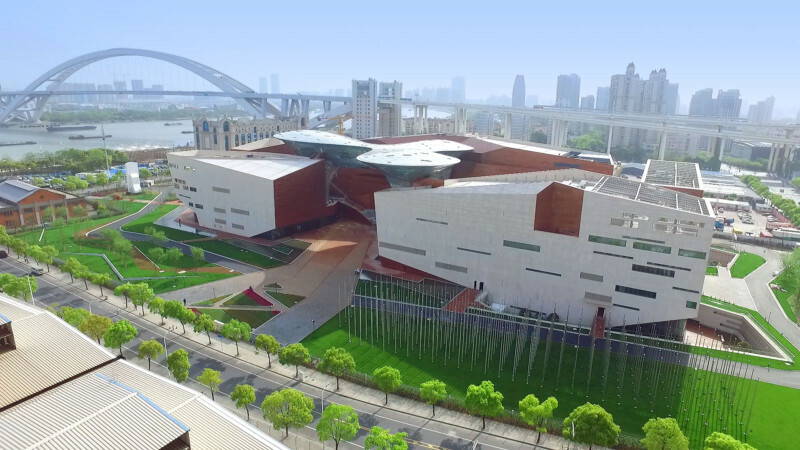 The World Expo Museum is at first open to the public in a trial run, during which 4,000 tickets can be reserved each day on the Museum’s website or via WeChat. During this period, the Museum is open between 9am and 5pm, on all days except Monday. This will be followed by an official inauguration ceremony in July. Located near the Lupu bridge on the North bank of the Huangpu river, on the Puxi side of the Expo 2010 site, the World Expo Museum covers an area of 46,500 m2, with the building’s unique architectural concept featuring two major components. The eye-catching glass-panelled “Celebration Cloud” rises above and sits atop the “History Valley”, where the history of International Expos since 1851 is told in eight different sections. The Museum features permanent collections dedicated to past, present and future Expos, and recounting their multifaceted nature spanning culture, urbanism, economy, innovation, science, and social improvements. The permanent collections include thousands of objects, 300 minutes of video footage and recreations of key Expo monuments. The Museum will also feature temporary exhibitions, a documentation and research centre, a collection warehouse and corporate and guest facilities.